The powerful Universal Law of Attraction says that you draw to you the essence of whatever you are predominantly thinking about, whether WANTED or UNWANTED. Every thought vibrates, every thought radiates a signal, and every thought attracts a matching signal back. When you understand the powerful laws of the Universe, including the Law of Attraction, then you will not be surprised by anything that occurs in your life experience, for nothing can occur in your life without your invitation of it through thought. The Universe operates on the principle of inclusiveness. This may seem naive, or overly simplistic - but, as with all great truths, there is an unseen depth to this statement. Let's touch on the basics here. It's vital to understand that it is how you feel about what you are thinking that determines what you, eventually, manifest into your life. You cannot tell yourself a happy story and manifest an unhappy outcome, and you cannot tell yourself an unhappy story and manifest a happy outcome. It defies law. In those instances where somewhere suddenly has a 'miracle' turnaround in their lives - whether that be their health, or their finances, or the quality of their relationships, it is because they have released resistant thought. If your 'good fortune' happens 'by chance', you will soon move into fear of losing it but if you understand the process of how life works at the subtlest levels, you will be empowered to not only maintain your good fortune but to consciously build upon it. Most people are not deliberate creators - they offer a thought vibration around a subject based on what they are observing, or what they are experiencing. When life is generally going well, they are able to offer happy, harmonious thoughts. Yet when life takes a sharp downward turn, they are unable to find vibrational balance, and cannot offer harmonious thoughts to find the solutions they so desperately need. People often think that life happens to them, rather than through them. Are you one of them? However you feel about something is your choice. It is a matter of perception - not all people will react to the same external event the same way. Law of attraction manages all of life's details for us - it is unerringly precise. It simply listens and responds to our inner dialogue. If you want to go on holiday, and you are constantly thinking that you can't afford it, then your vibration is one of lack and you are really thinking about not going on holiday, rather than going on holiday. You know this because you experience negative emotions, such as frustration, anger, disappointment, rather than positive emotions such as eagerness, hopefulness, excitement, passion, and so forth. Most humans are disconnected from their feelings, in that their feelings and emotions often lie beneath their conscious awareness of it. If they do recognise them, they have not been taught to release resistant thought that is causing the negative emotions to occur. The promise of understanding the Law of Attraction is this: if you can recognise that you are the point of attraction around which all things in your life occurs, you will start to become a deliberate creator/attractor of things you want, rather than things you don't. The Law of Attraction operates 24/7, 365 days a year. Its power is always "on". It constantly and precisely responds to your feelings about what you are thinking, and the more powerful the emotion (the energy behind the feelings) you are feeling, the quicker the result will come, whether wanted or unwanted. The feeling of having money is very different from the feeling of not having/having lack of money. If you are in a good place, it is easy to feel good and attract more "luck". If you are in a not-so-good place right now, you cannot suddenly feel joyful. It is too big a jump, and a common cause of people giving up and saying 'this doesn't work'. Step 3 (your work): The answer, which has been given by Source/Spirit/The All That Is, must be received or "allowed"
The reason that we are not always aware that our desire have been answered is because there is often a time gap between asking (Step 1) and allowing (Step 3). Further, we may focus back on the contrasting (unwanted) situation rather than the desire itself, delaying the manifestation of an improved result. The final step is where most of us give up. If we expect immediate results, we will not be willing to deliberately offer a conscious vibration for long enough to see the manifested result of our asking. Experience is a thousand times better than the mere acquisition of knowledge about a subject. You can read about love but to experience love is an entirely different matter. Experiencing love is self-validating, bringing one to understand the power of love to heal and transform. In any case, we need to remember that the Law of Attraction is working whether or not we believe in it, and whether or not we decide to consciously work with it. If you want to know how the Law is working for you, just look at the different areas of your life. Some will be better than others, some worse than others. Yet, the results you are experiencing will always show you what you have been focusing on. It's always a perfect match. If you want to change your life, you will have to change your vibration. If you want to learn more, you can book a personal coaching session with me, either in-person (if you're local) or via Skype/Web conferencing. I work with clients all around the world like this. Are you are "trying to make ends meet"? You cannot. Life is a circle, and the energy you give out returns to you. A perception of lack sets up a vibratory field that simply causes you to experience more lack. Only by moving into a vibration of fullness, or wholeness, will you beget fullness. What is the quickest way to do this? By understanding the fullness and richness of THIS MOMENT, and by CELEBRATING ALL THAT YOU HAVE and ALL THAT YOU ARE! Start a "gratitude journal" today. Move into the feeling of gratitude, and watch the Universe not only match your vibration but multiply the reasons for which you are giving thanks. What you consistently hold in your Mind and Heart, comes forth. It is Law. Spiritual viewpoint on the Boston bombings: all attack is a cry for help. 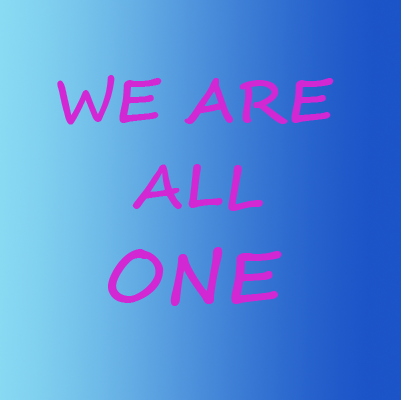 We are all ONE. Enough of the bloodshed. Let us call for a total paradigm shift. We must learn to find a way to know that we are all brothers and sisters here on this earth, and that humanity is ONE race. We must move into greater understanding, and have compassion for each other. We cannot continue to seek to control the behaviour of each other through force, which never works. It is a low energy vibration. All spiritual masters have said this. We must ask for greater transparency, and honesty, from our governments and leaders. We cannot continue to turn a blind eye to 'foreign policy' which directly or indirectly suppresses whole nations because of our lust for power, and our need to maintain a status quo in which a great portion of the Earth's people live in abject misery and squalor. Although there is talk of catching the terrorists responsible, these words surely ring hollow for those who are dead or injured, and all the families affected. Political rhetoric always comes to the fore at a time of crisis, and then our politicians and leaders soon go back to their old ways, oblivious to the world's suffering. If we recognise there is no "other" than us, then all of humanity's problems will evaporate overnight. It can be no other way. A sense of urgency must be upon us all now to correct our deepest misperceptions. "Consciousness is everything, and creates your experience. Group consciousness is powerful and produces outcomes of unspeakable beauty or ugliness. The choice is always yours. If you are not satisfied with the consciousness of your group, seek to change it." Conversations with God. It is clear then: what is needed is a change in consciousness, not merely a change in policy. The Law of Attraction is always matching the essence of what you are thinking about. Thus, when you dream about something it is always a match to the thoughts you have been thinking. The fact that it has appeared in your dream means you have given it a significant amount of thought. Dreams can be of immense value in understanding what you are in the process of creating when you are in your 'awake' state. The symbology of dreams is best interpreted by you through direct inquiry, and not a book which can only give general interpretations that may or may not be relevant. Symbols will be meaningful for you if you group them into Universal symbols, cultural symbols and personal symbols. Yet, by far the easiest way forward it to focus on the feelings you are having whilst you are dreaming, rather than figuring out what may at first seem to be rather strange and complex symbols. The unconscious sees things very different to the waking, conscious mind. As you go to bed, set your intention to connect with your Higher, Intuitive Mind, and ask to receive guidance in your dream state. Say out loud: "It is my intention to rest well and to awaken refreshed, and rejuvenated. If there is anything important for me to recall from my dream state, I will recall it when I awaken." When you awaken, lie there for a few moments, and ask yourself: Do I remember anything from my dream state? Relax, and try to remember how you felt during the dream sequence. Meaningful dreams will always be accompanied by strong emotion. Simply ask yourself, "how did I feel as that was happening?" If you have awakened from a good-feeling dream, you can be sure that your dominant thoughts around a particular subject are pointed towards what you want. If you awaken from a bad-feeling dream, your dominant thoughts are in the process of attracting something you don’t want. If you do awaken from a bad dream, appreciate the awareness that you have been given, and consciously ask yourself, "what do I really want?" You may discover more than one emotion during the dream but the emotions will not be very different from each other. Emotions are usually within a particular frequency bandwidth. For example, anger and blame go together. You would not experience anger and joy together because they are very different frequencies. If you awaken from a 'bad' dream, once you have identified the dominant (negative) emotion, then you can clean it up vibrationally speaking. To do this, you need to understand how to use the Emotional Scale - and consciously and deliberately move up the scale towards alignment with your Inner Source/Being. Whenever a problem comes into focus, an answer is born at the same moment. This is how the Universe is set up, vibrationally speaking. Problems (contraction) leads to an expansion of consciousness. The key is to shift your awareness, so that your thoughts and emotions continually vibrate at the frequency of the answer, not the problem. Then life becomes a joyful process, rather than a battle that you have to endure. Are you distracted, or focused? Are you feeling contracted and overwhelmed, or feeling open and expansive? In this age of information overload, grounding and centering techniques (meditation) are becoming ever more key to staying healthy and balanced. If you allow your mind to flit from item to item, every little detail that comes into your awareness will only bring you a deep sense of restlessness and unease. Learn to harness your awareness, and patiently focus on one thing at a time - cultivate a sense of one-pointed attention. Bragging that you can multi-task may be your very undoing. In reality, the conscious mind can only focus on one thing but the speed with which it can move creates a sense of being able to do many things at once. Just ask any good chef!